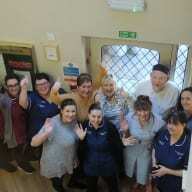 North Yorkshire care home provider Clifton St Anne’s is celebrating after its St John’s House received its second CQC ‘outstanding’ rating. The home, which gained two outstandings for ‘caring’ and ‘well-led’ in its last inspection in March 206, went two better this time with four outstandings for ‘effective’, ‘caring’, ‘responsive’ and ‘well-led’. The CQC said: “The provider demonstrated how they had achieved outstanding practice, development and improvement at the service. The leadership team sought creative ways to provide a personalised service and had achieved excellent results through exploring best practice and professional support and implementing it to enhance people’s lives. The CQC also noted the provider’s regional and national recognition through accredited schemes, which acknowledge quality practice such as The Living Wage Foundation and Customer First. Clifton’s St Anne’s other care home, The Millings in Bedale is also rated ‘outstanding’. The post ‘Outstanding’ care home ‘like living in paradise’ appeared first on Care Home Professional.